With ever-increasing support for augmented reality (AR) and virtual reality (VR) hardware and applications, there’s a parallel growing need for 3D objects and scenes to populate AR/VR environments. Google has been offering a number of tools to make it easier to create those 3D assets for several months now, including the development of the free Tilt Brush and Blocks solutions and their associated websites. 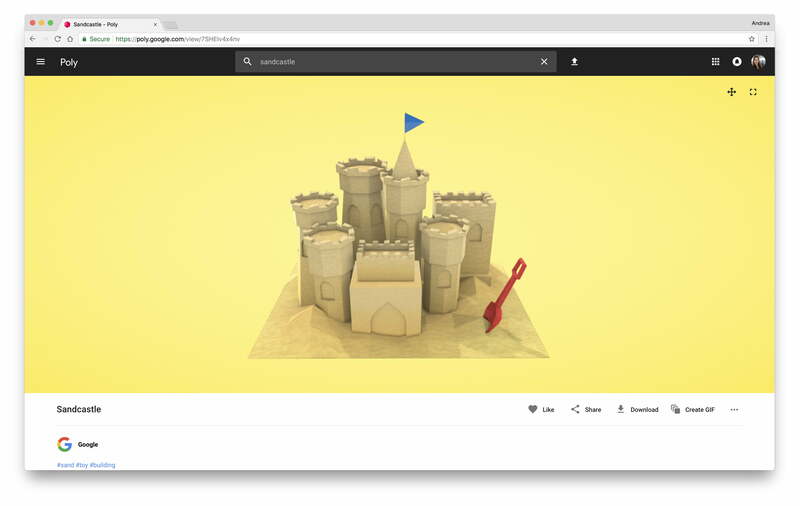 Now, there’s a new site, Google Poly, that makes it easy for creative types to both share and access a warehouse of 3D objects and scenes. If you’re interested in getting started with creating or accessing 3D objects for VR, Google’s ARCore, or Apple’s ARKit, you can visit poly.google.com. Google also recently released an application programming interface (API) for Poly to help developers make the most of Poly assets and easily add them into their games and apps. VR and AR developers can get started with it here. Poly is fully integrated with Tilt Brush and Blocks, letting creators directly publish their creations from both tools, and with the new API, developers will be able to integrate Poly into their apps and games. Tilt Brush is a VR-based toolkit that helps 2D artists make the transition to working in 3D, and Blocks also works within a VR environment to allow nontechnical people to create 3D objects. OBJ files can also be directly uploaded to Poly. The site is already fully stocked with thousands of 3D objects and scenes in easily searchable categories such as Animals & Creatures, People & Characters, and Technology. Users can also filter results to include Tilt Brush sketches and Blocks objects, to show only those that allow remixing, and to select by publish date. The 3D objects that are uploaded to Poly are published under a Creative Commons public license and many are fully remixable. That means that they can be imported into Tilt Brush or Blocks and edited. When the remix is subsequently published, Poly then automatically links to the original asset and credits the original creator. 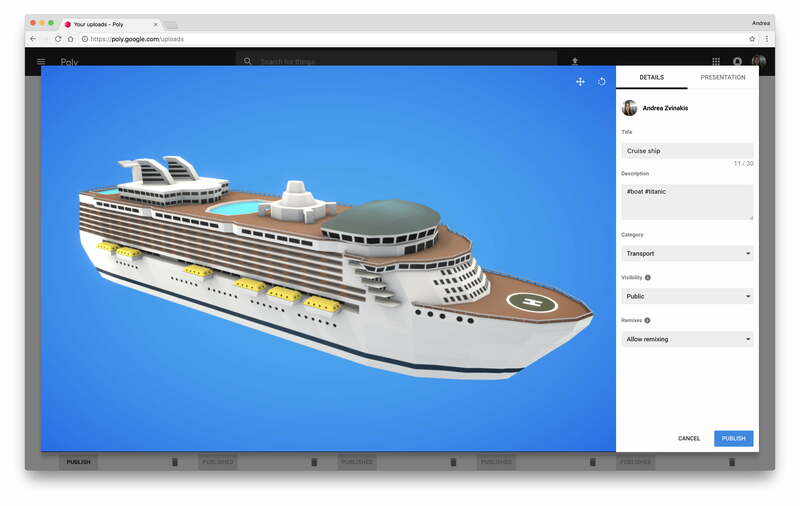 In addition, anyone can check out the 3D objects in a mobile or desktop browser and search for new creations using keywords. The objects can also be shared via animated GIF, with the ability to select aspect angles and animation speed, or viewed using Cardboard or Daydream View. Update: Added information and trailer for Google Poly API.